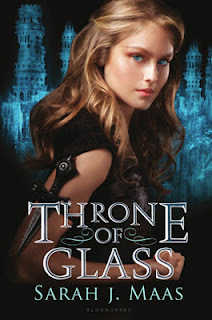 Description: After serving out a year of hard labor in the salt mines of Endovier for her crimes, 18-year-old assassin Celaena Sardothien is dragged before the Crown Prince. Prince Dorian offers her her freedom on one condition: she must act as his champion in a competition to find a new royal assassin. Her opponents are men—thieves and assassins and warriors from across the empire, each sponsored by a member of the kings council. If she beats her opponents in a series of eliminations, she’ll serve the kingdom for three years and then be granted her freedom. "Oh, how wrong he was! Libraries were full of ideas – perhaps the most dangerous and powerful of all weapons." "Though it was the oldest and most shameless trick in the book, he reached over her and put his hand on top of the one that gripped the cue. He then positioned the fingers of her other hand on the wood before lightly gripping her wrist. To Dorian's dismay, his face became warm." His eyes shifted to her, and to his relief, he found that she was as red as he, if not more so. "If you don't stop feeling and start instructing, I'm going to rip out your eyes and replace them with these billiard balls." "There was good in people - deep down, there was always a shred of good. There had to be." I'm totally with you on Chaol! But I also liked that the romance was understated. There were more important things to deal with! Amazing. The color looks so beautiful and lively.